Microbrush Plus applicators are the exact same as Microbrush applicators - but refills are conveniently packaged to slide into an automatic dispenser greatly reducing potential cross contamination concerns. 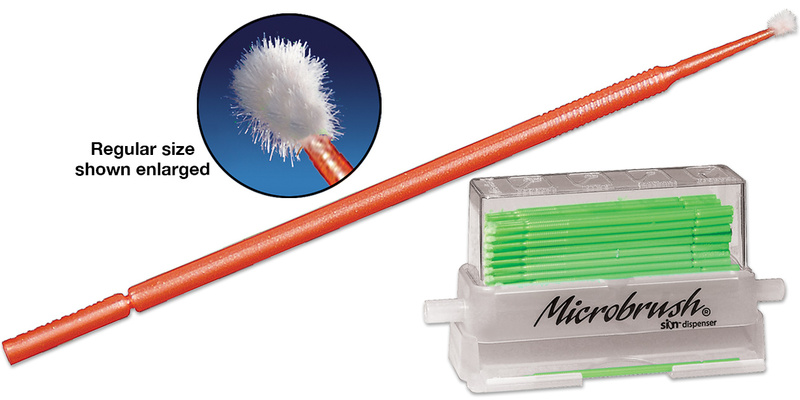 The Microbrush Plus dispenser incorporates sion™ technology for built-in antimicrobial protection. Contains: 100 ea. blue, green, peach, purple. Contains: 200 ea. pink, yellow.